Hang Ten At City Surf Fitness. 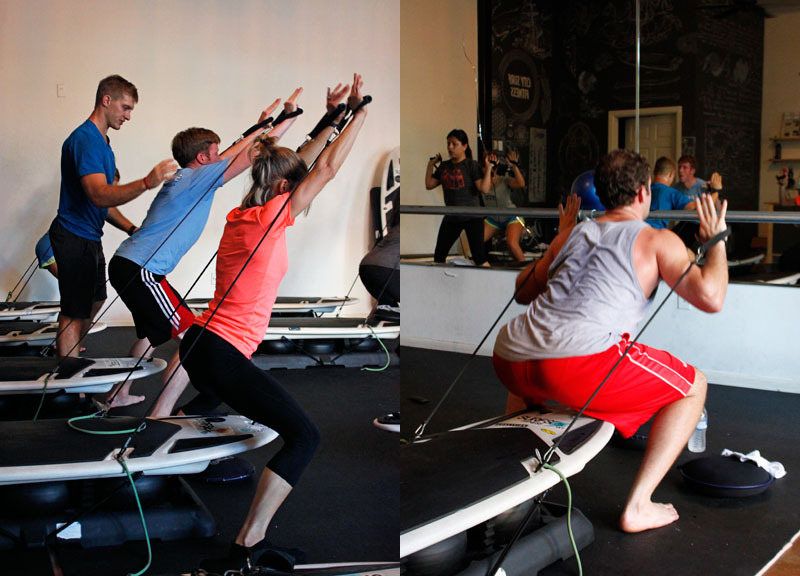 This week, we caught some “waves” at City Surf Fitness. 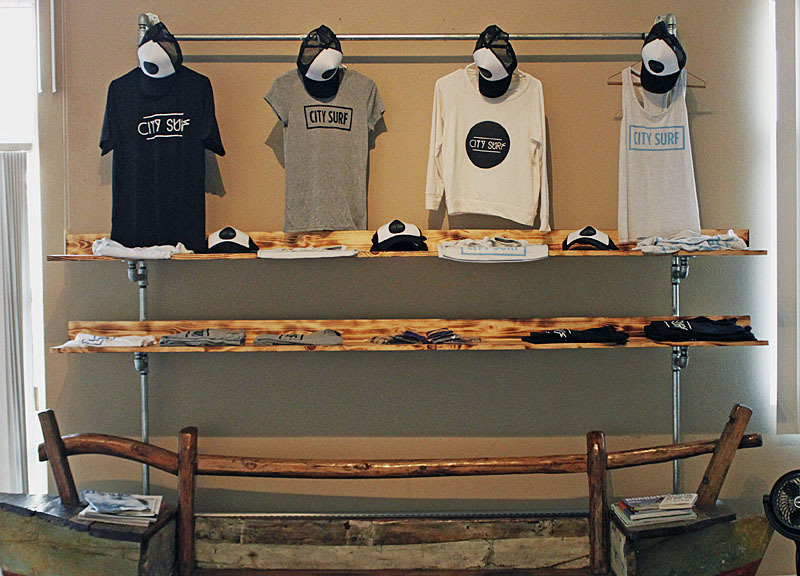 Fast Facts on City Surf Fitness. • Degree of Difficulty Scale For Beginners: 8 of 10. • Calories Burned in 50 Minutes: 540. • Muscle Soreness After The Fact: 9 of 10. • Location: 2805 Allen St. Suite 113, Dallas, TX 75204. 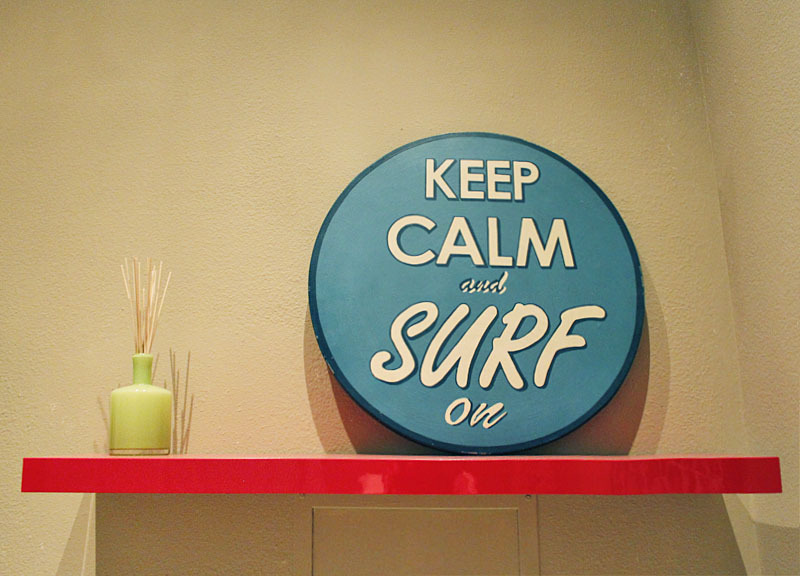 • Classes Offered: City Surf (entirely on the board), Buddha Board (yoga), Beach Body Bootcamp, Big Kahuna (resistance band training), Surf N' Sun (half on board/half functional fitness training), and Pipeline (barre). • Introductory Offer: First class free. 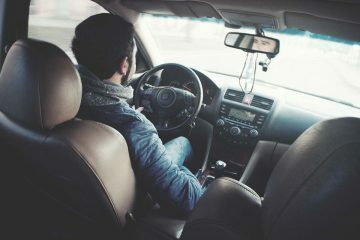 • Price: $20/class, $300 for three months unlimited, SMU discount of $75/month, 9:30 a.m. and noon classes are only $5 for SMU students and $10 for everyone else. For those of you who watch the popular reality show, Shark Tank, you might be familiar with SurfSet Fitness, the fitness company whose indoor surfing-based workouts landed a $300,000 from our own Mark Cuban during Season 4. 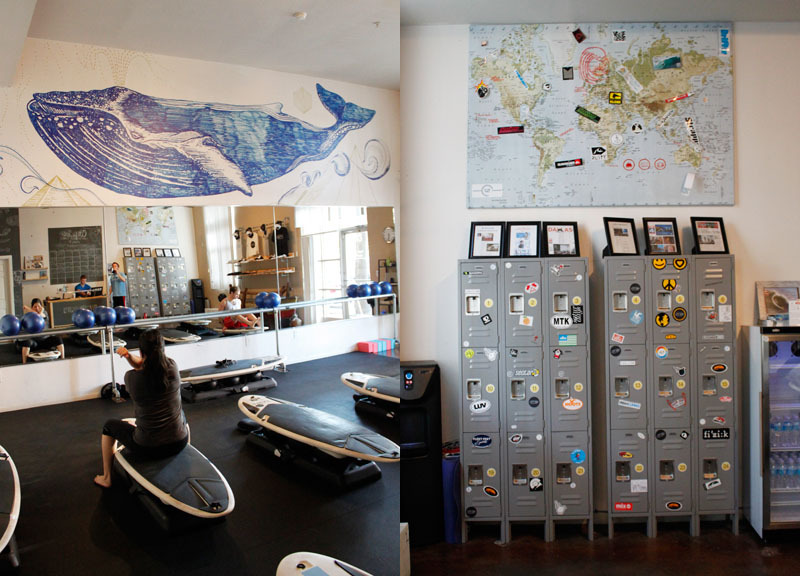 After almost two years, the business is booming, and SurfSet is opening gyms all over the country. 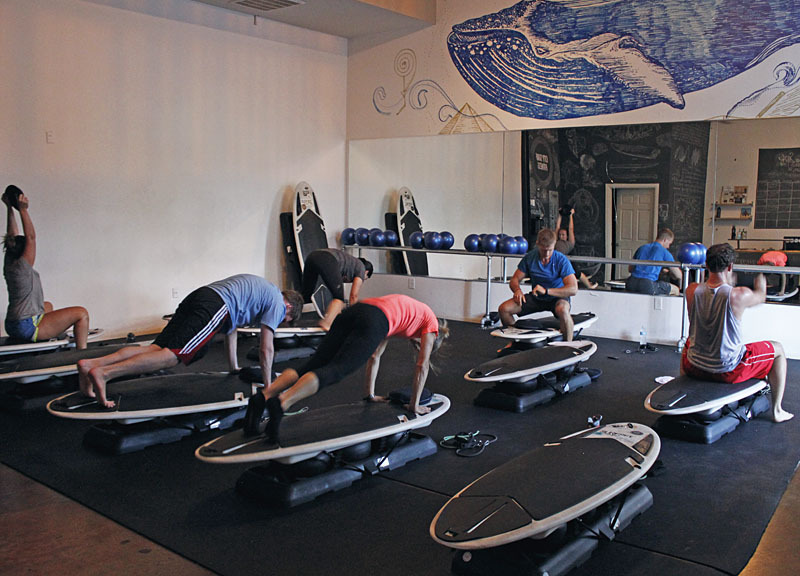 In fact, it wasn't long after Shark Tank that City Surf Fitness brought Dallas its first SurfSet program when it opened its Uptown facility seven months ago. Before all you beach bums get too excited, realize this program has nothing to do with real surfing, save for the fact that you are working out on a surfboard. Here the ocean waves are replaced with three Bosu balls. Just for fun, City Surf will turn on a projector displaying waves on the wall to help you imagine yourself being cooled off by real ocean waves. As easy as SurfSet's creators made it look on television, however, the program is not for the faint of heart. The SurfSet surf boards that line the small room take more balance than you might first imagine — like any new work out, it takes a lot of practice (and extreme muscle soreness) to get used to. Each class has the same structure: 15 minutes of cardio, 15 minutes of strength training and 15 minutes of core. Once you master balancing the board, the rest of class is packed with constant movement. Newly hired manager, Nicole Spruiell, participated in their Surf N' Sun class alongside me. 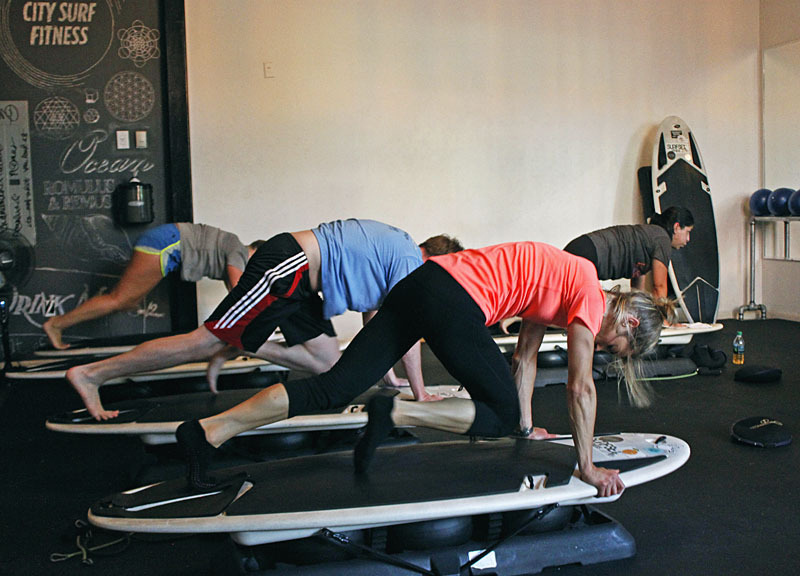 Specifically, this class is a mix of everything City Surf has to offer: pushups and mountain-climbers on the board, bag tosses above our heads, exercise bands connected to the boards and more. City Surf offers newcomers two-weeks of unlimited classes for $25 because there's no way to judge this facility off of one of their classes alone. Each instructor and class is completely different. Whether you're looking for yoga, boot camp or barre, any of these classes will whip you into shape. Overall, I'll give City Surf Fitness a B-. 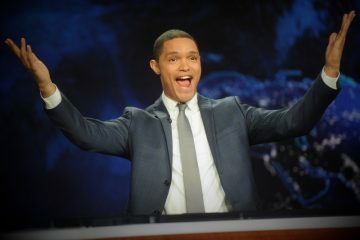 Previous ArticleThings To Do On Tuesday, September 9.